ladder can be used in 23 possible configurations to accommodate a variety of applications. 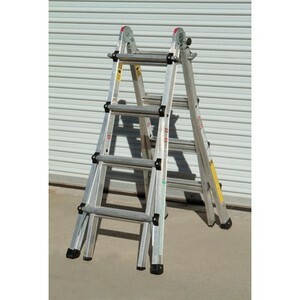 The ladder is constructed of super strong aircraft grade aluminum and supports up to 300 lbs. 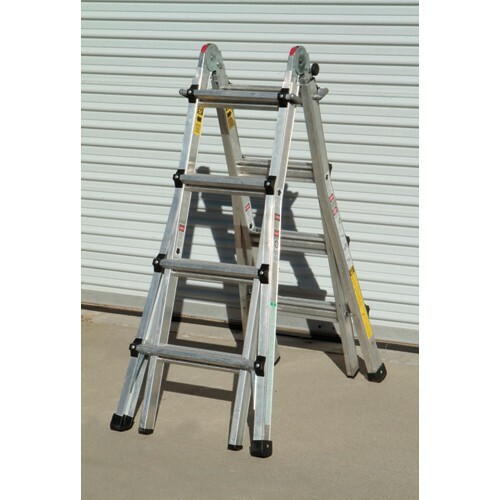 When not in use, the step ladder folds flat for easy transport or storage. 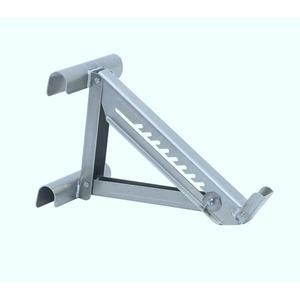 Base spread: 45 in Material: Aluminum Maximum Working load (lbs. ): 300 Step rise adjustment (in. ): 12 Folded dimensions (LxWxH): 8-1/3 in. X 24 in. X 54 in. Product Height: 17 ft.